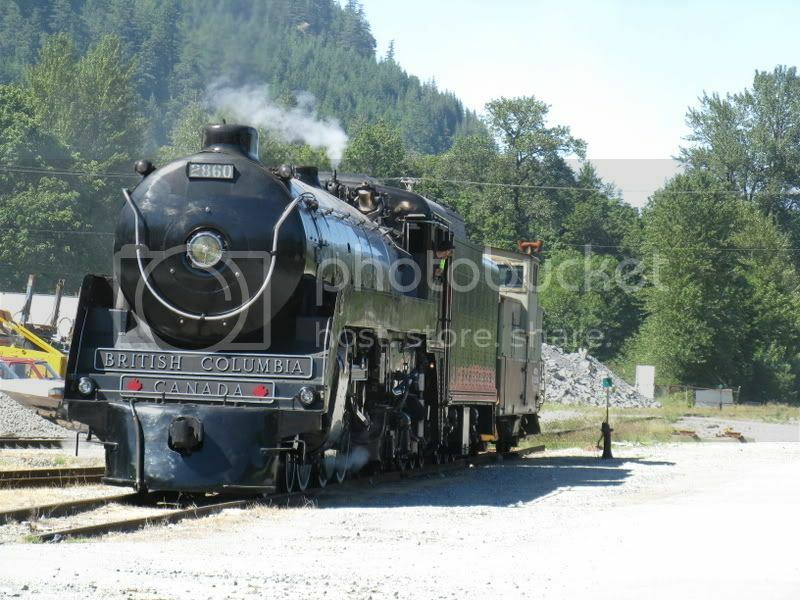 Today the WCRA was celebrating the BC 150th Anniversary at the heritage park here in Squamish. Mill Bay even came out from Chilliwack for the event. It was a hot day today, but it was worth dealing with the humid heat. Anyways, here's a few photos from the event. The biggest highlight was at the very end of the day, when the Whistler Mountaineer came through. 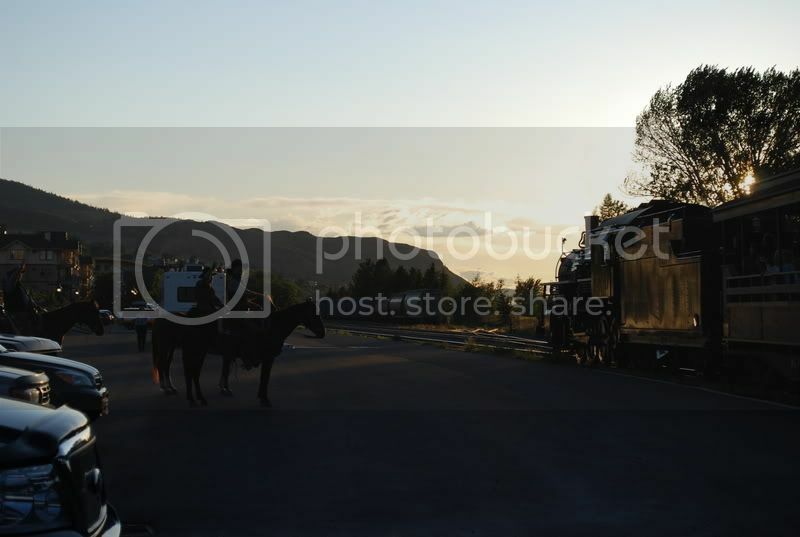 We sat and waited about an extra 45 mins for it to arrive, because a freight train decided to pull in and start shunting some cars, which blocked the tracks. So the Hudson sat on standby until the Mountaineer came, and then they pushed the throttle in to try and race the Mountaineer, which doing a whistle salute. This was fun to watch, and sounded awesome. 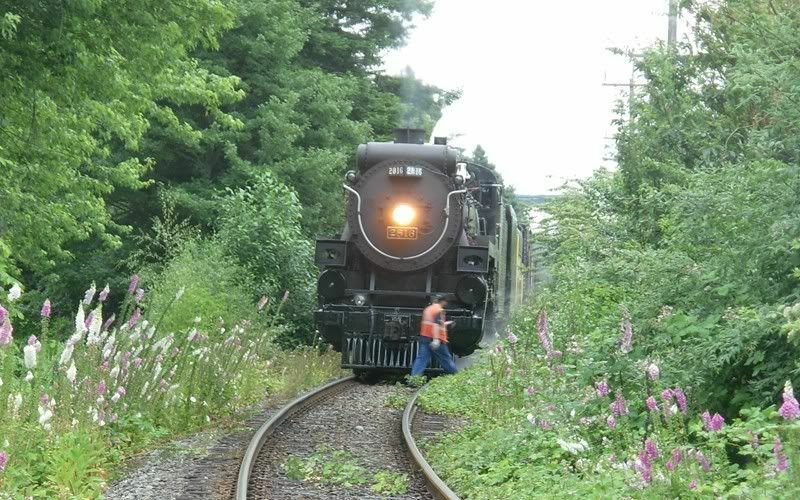 After that, they pulled her back into the park, and then they had her move a locomotive, which was sitting in her resting spot. 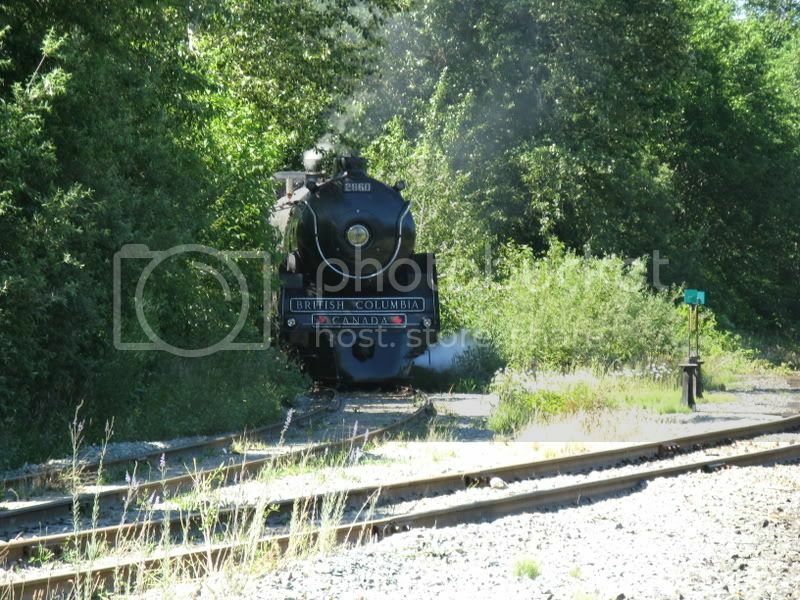 BONUS audio clip, of the Royal Hudsons whistles, as she was reversing back to the heritage park over the road crossing. Damn, I knew I forgot to do something today. Hopefully I don't miss the CP 2816 at Ambleside in July. As long as we're talking about Hudson's here is the remaining schedule for the other CPR steam engine that's touring the province as part of the BC150 celebrations. Langley: Production Way, between 200th Street and Fraser Highway 2 to 4 p.m.
Surrey: Cloverdale Village Square, Highway #10 (56th Avenue) and 176A Street (Rear Parking Lot) 10 to 4 p.m.
New Westminster: Advance Parking Lot, east of Westminster Quay, corner of Begbie and Front Street. 10 to 2 p.m.
West Vancouver: Ambleside Park, Marine Drive and 13th Street 10 to 2 p.m.
Vancouver: Rocky Mountaineer Station, 1755 Cottrell Street. 10 to 2 p.m. 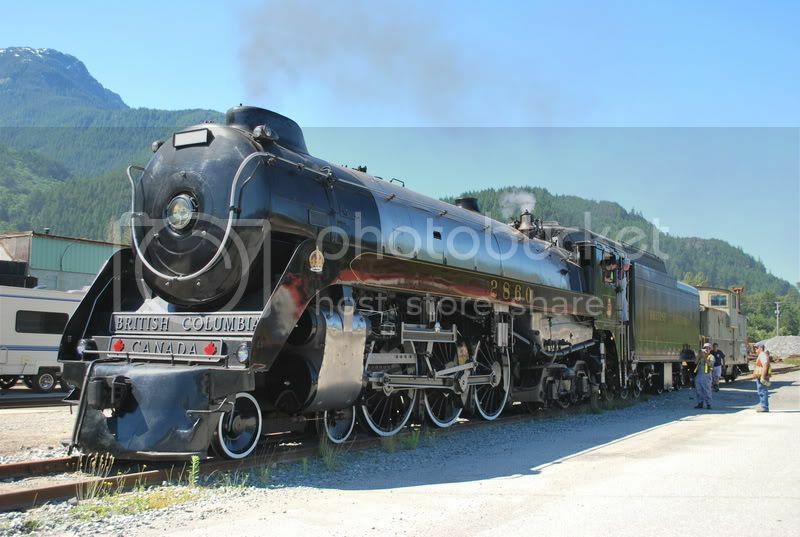 It all started maybe a week ago when Chris reminded me that the Royal Hudson would be in steam at the WCRA in Squamish this weekend. I already had known that and I was debating whether or not to go, but Chris came right out and asked me if I was gonna come up, so I decided I might as well since he was asking, and I'd actually be able to have someone there to meet me. Then it got complicated when they started planning the big trip for yesterday, and Chris suggested that I might as well stay overnight in Squamish to save me some driving. Well, by hook or by crook, that's how it happened. I left in the morning saturday, ending up being a half-hour late right from the start because a truck fire had backed up bothe sides of the freeway near 232 St., and they wouldn't even get around to clearing it until the afternoon. So I hopped across the river at Mission, but just couldn't make up time. There also lots of slow drivers from Alberta on the Upper Levels and lots of slow spots on the Sea-to-Sky. My impression was that, despite being widened and haveing lots of new bridges and fancy cliff hugging parts on trestles and giant retaining walls, that the Sea-to-Sky is still just a tricky, winding rugged highway which nobody is really going to drive appropriately on, and it still has no alternative route if there ever is a major accident, or a large amount of extra traffic such as might happen during a megaevent such as, oh say, the Old-lympics. The only way we could ever have gotten something that would live up to the cheery promises Gordon Campbell passed off with his plastic smile would be if they had built a completely separate route to Squamish, built to freeway standards so people could zip up there in half an hour. Anyway, I finally got to Squamish just around the time Chris was trying to call me to see where I was, around 10:45, a trip of 2h 45min. We headed over to the rail park, but were disappointed to see that the Royal Hudson was more of a backdrop for the political speeches and whitewash, but she wasn't actually going to be moving anytime soon. We wandered the exhibits, but after a couple hours, we decided it was a little uninteresting, so we left, planning to come back for the whistle salute near the end of the day. 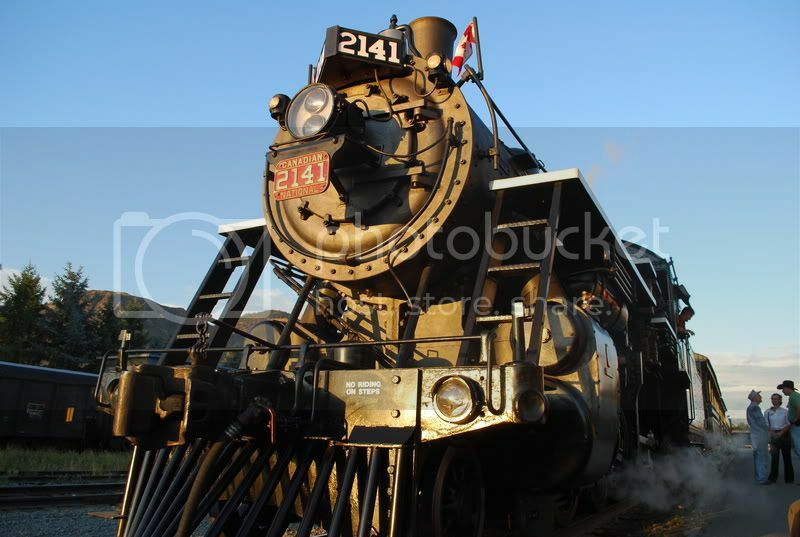 The WCRA is also home to the last remaining original Pacific Great Eastern steam engine, the #2, which they someday hope to reactivate. 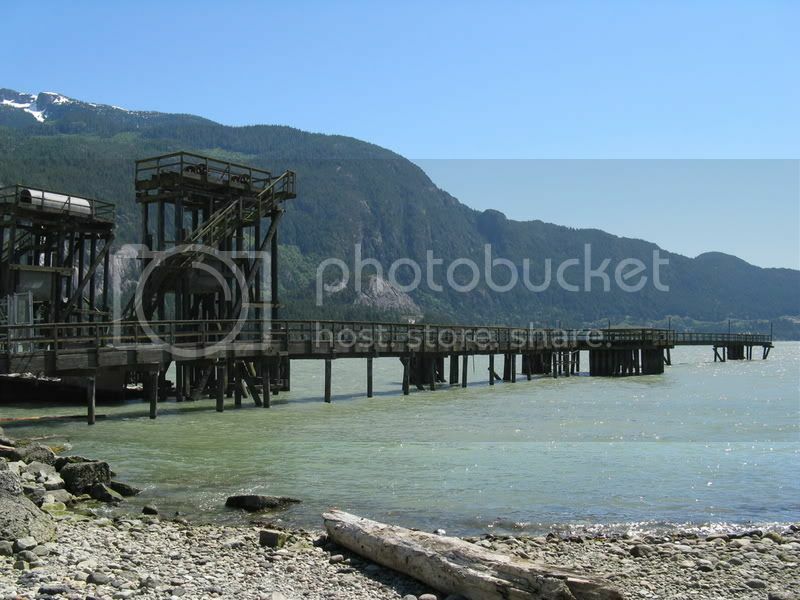 So we went and got lunch, then Chris gave me a grande toure of Squamish, showing all the houses and buildings he'd roofed, then we went out to the end of one of old industrial docks, which is now supposed to become a nice little beachfont park. 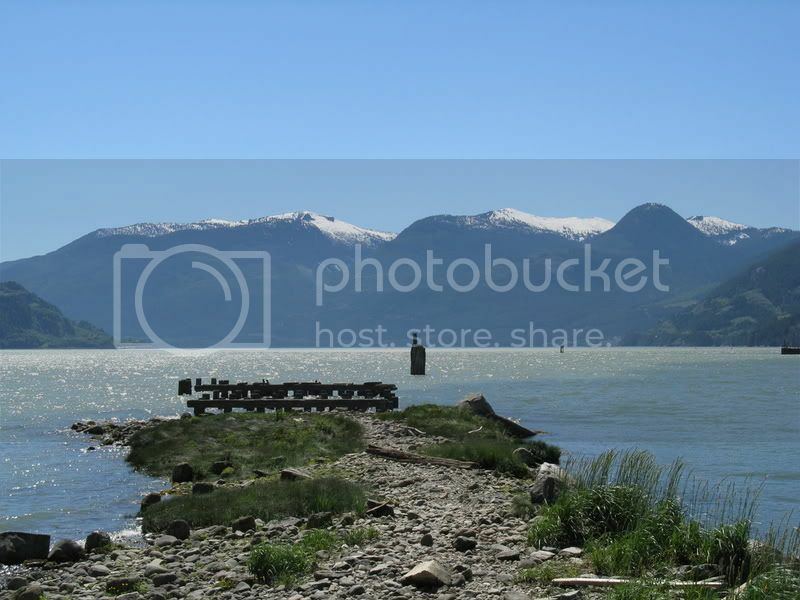 But I would recommend to everyone to spend a night in Squamish, because it's so incredibly scenic, and Chris is the ultimate virtuous host and tour guide. 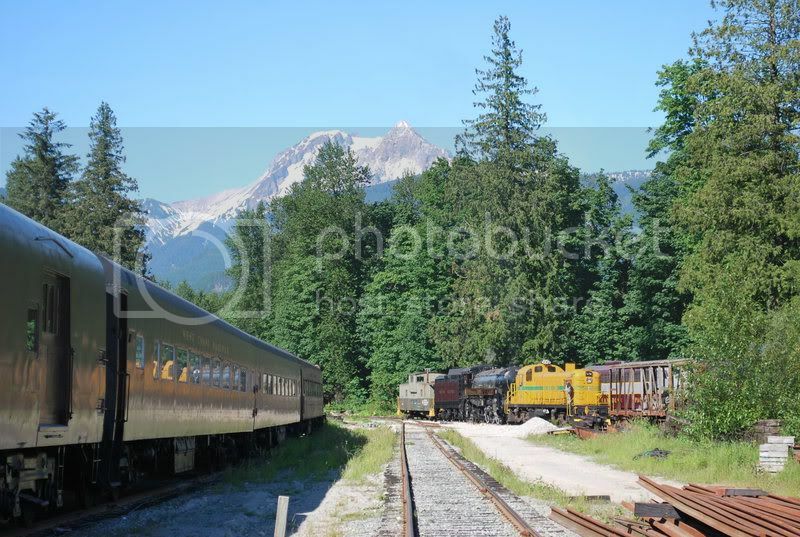 After driving out to Darrell Bay to lament the loss of the Garibaldi II, not to mention the disappearance of much of BC's native industry, we made it back into the park, planning to be able to watch the Royal Hudson pulling out. Just as we parked, I started hearing her whistle really close. Chris thought she was still in the park and wanted us to go inside, but then I heard the crossing bells going off, so I knew she was on the mainline, and I shouted to Chris, "NO, she's at the crossing!" and at that second she blasted across the road, so we took off running, afraid we'd miss our photo op. 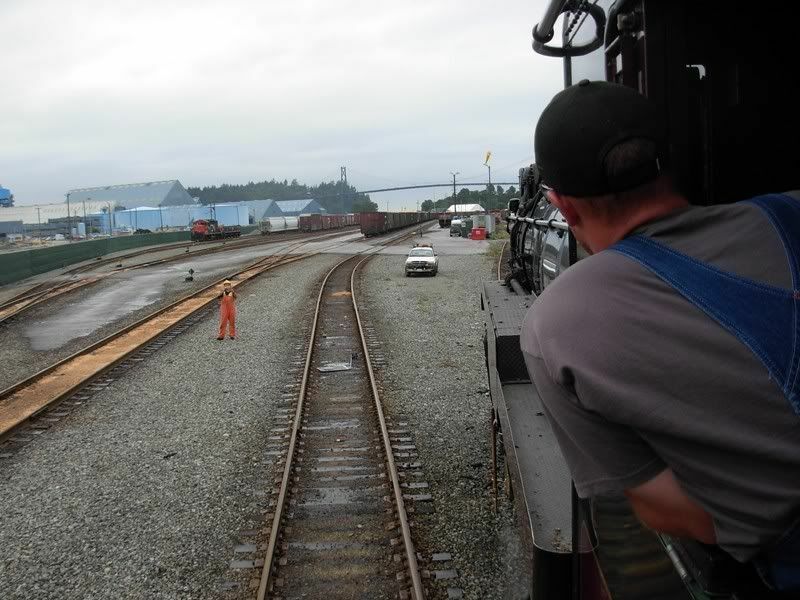 Fortunately they moved her back and forth a couple times, so we were well satisfied, and there was also some other activity going on in the freight yard. Eventually, the Whistler train came through and tooted it's pathetic horn in response to the steam whistle, and they tried to race the Hudson with the train, finally letting her stretch her legs after just sitting in one place all day. Afterwards, the moved the Hudson back into the park, and moved one the other old PGE engines around before we left finally. Afterwards, we went back, and Chris uploaded some of his files, then we went to Boston Pizza for supper, and I got a free pizza out of it . Finally, we mozied on home, watched a movie, checked the forum and went to sleep just after midnight, and I actually slept pretty well, which is odd for group trips, although I did have wierd dreams. The next day, of course, was the ferry trip, so that will be covered in another thread, by me. Awesome pictures Chris and Mill Bay! 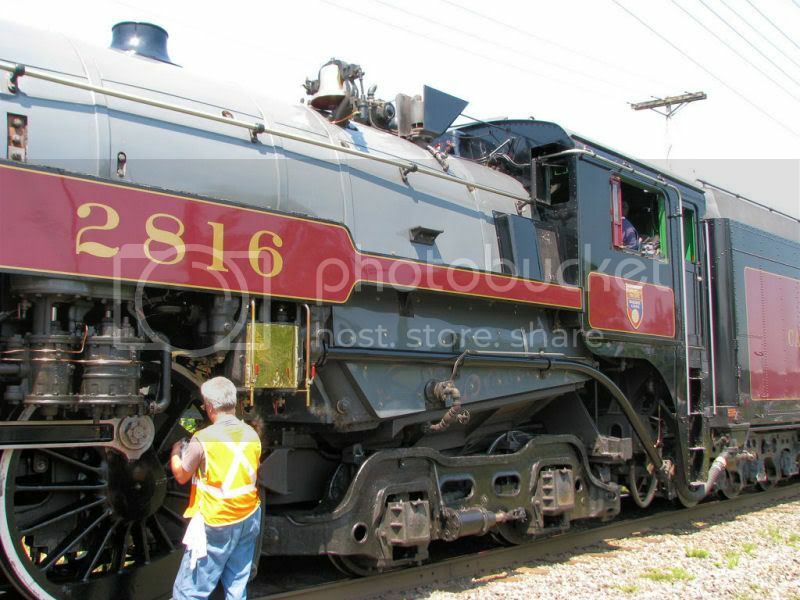 It has been a long time since the Hudson was on the rails, and it is great to see and hear her. Have they finished the construction at the WCA? It was really dug up last time I was there. I also had a train spotting trip today, on top of that it was steam too! You'd think diesels are going out of style. 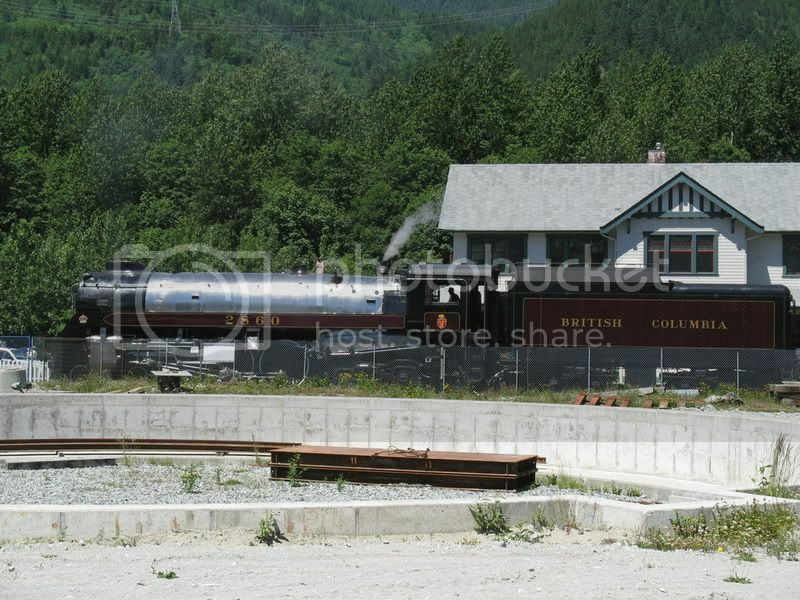 I went to Langley today to see the Empress and the BC 150 train. Unfortunately I missed it coming in because the traffic was backed up. The place they put it was a bit stupid too because it was right between two road crossing, almost on the road and there were rail police not letting people on the road so getting a picture from a distance was hard. The train consisted of the Empress, and an F7, followed by about six to eight cars with an Observation car on the end. I think it was called Lambert's Point but I'm not sure. There was plenty to do there as there was music and you could take a tour of the museum on the train. Furthermore, there was even free Timbits, Coke, water, cookies and fruit. (I thought that itself was a pretty good deal ). If anyone has time to see it this week I would highly recommend as it is a once in a while chance. The worker was spraying water on the rod between the drivers. 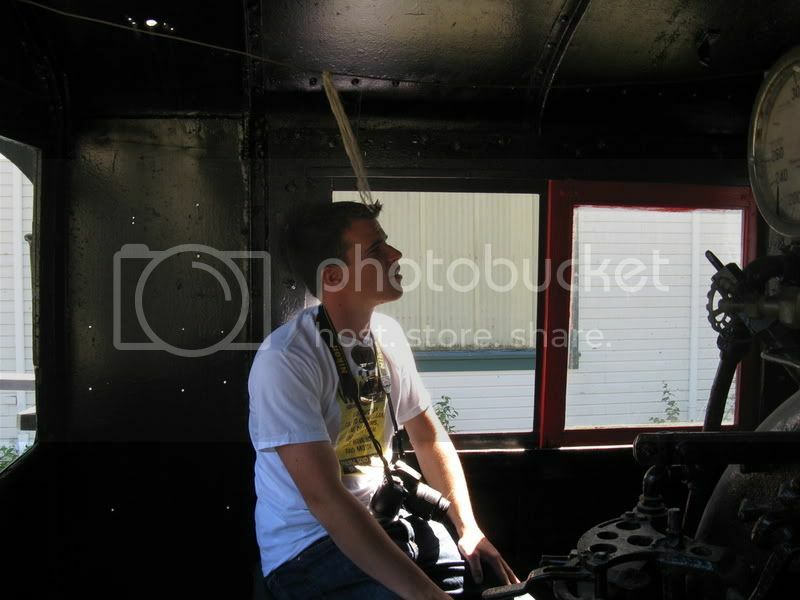 One of the more steam train knowledgeable members might know what he was doing. I know this is a bit off centre but I was being pushed along by train police. If the Photobucket will work I will upload some videos. 1. 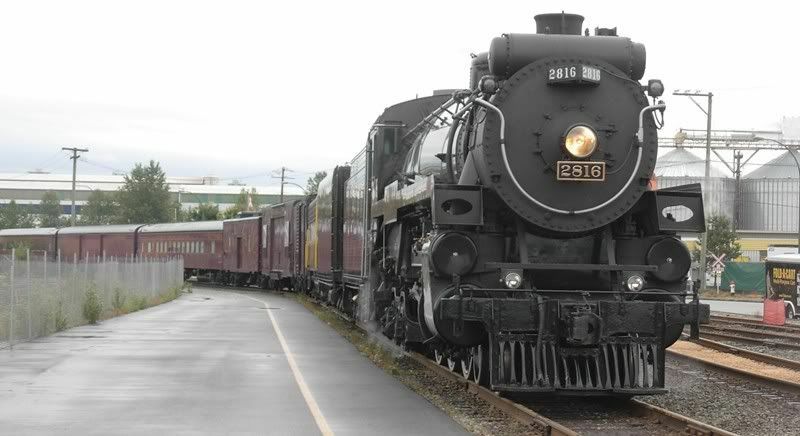 2816 at North Vancouver. Stopped to change pilots. 2. 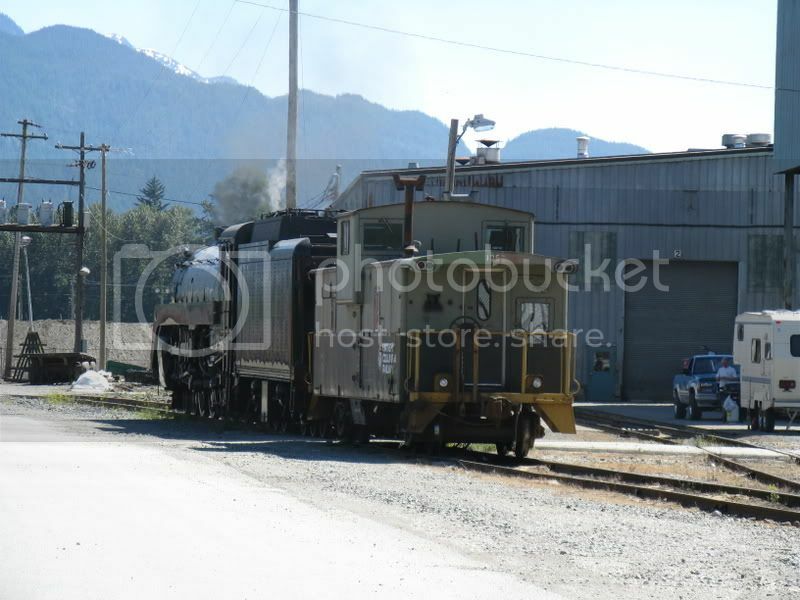 Riding the 2816 through the BC Rail yard and out to Ambleside. Nice photos! 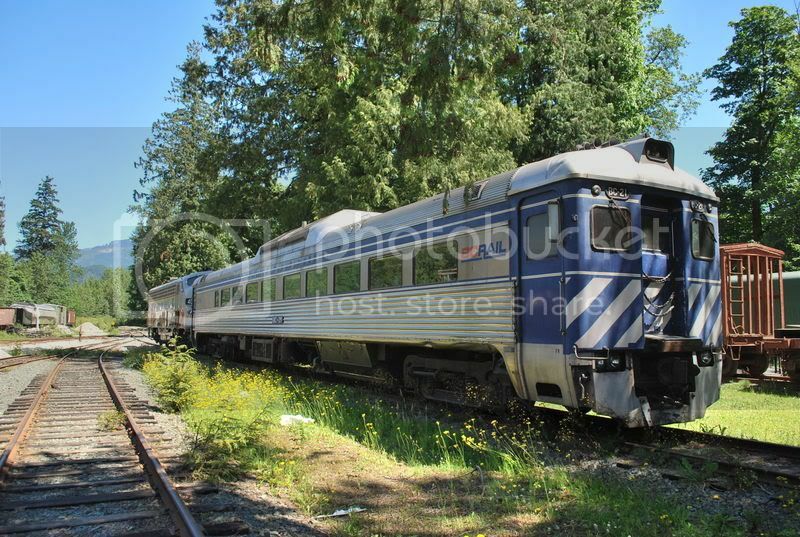 I totally forgot about the train being in North Van today, oh well I least I saw it in Langley. Wow! Nice photos! 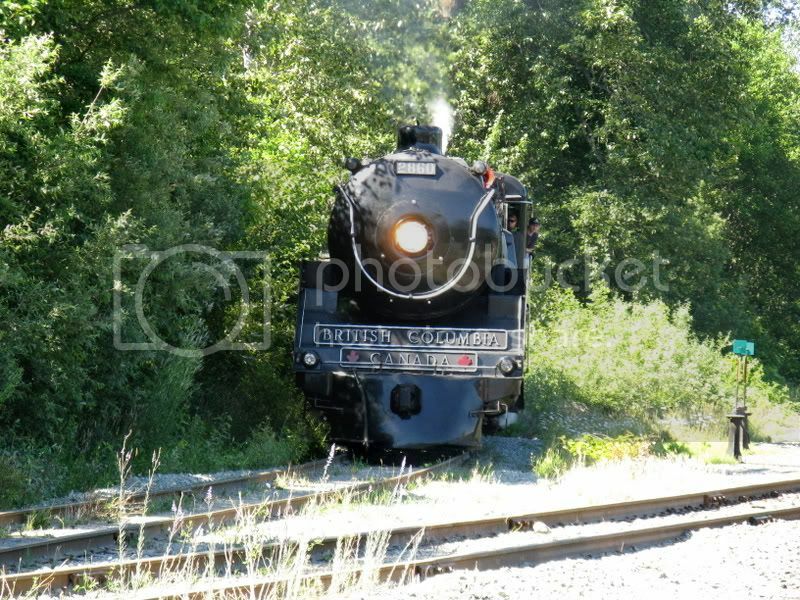 I met up with Mill Bay down at Ambleside to see 2816 this morning. I was at the Northshore Auto Mall when I heard its whistle blasting the whole time she came through. Everyone around me said "what is that awful noise?"....hahah. 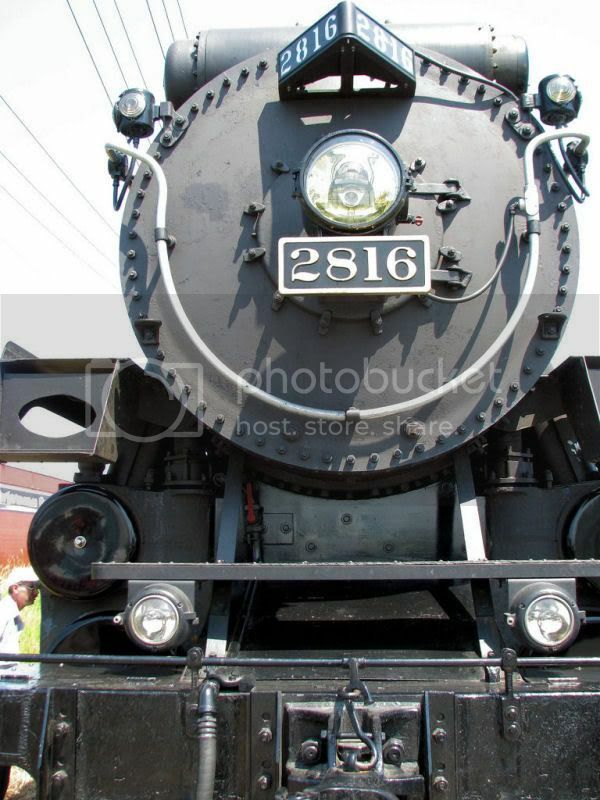 Where did you get the pictures of riding the 2816 through the yard? I'm assuming you must have gotten on board somehow. I got some neat pictures of her crossing the Capilano River that morning. 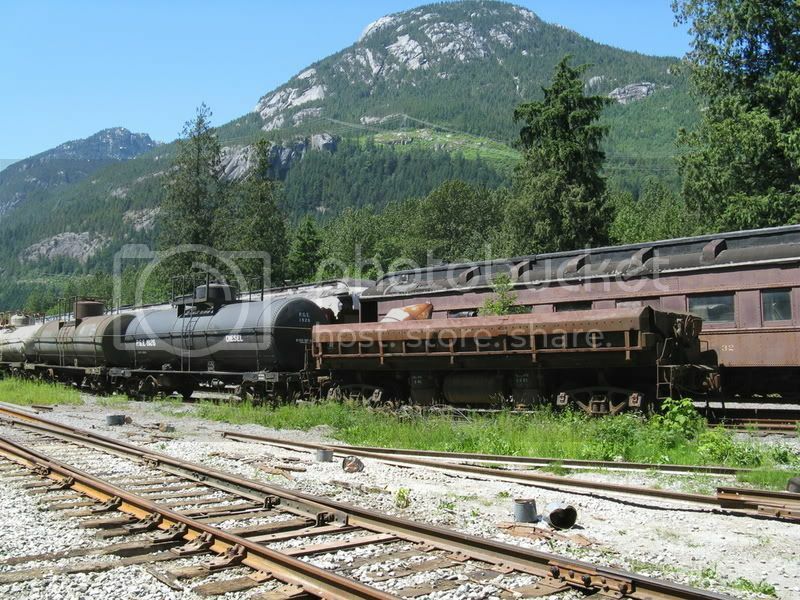 But they say neither one of the Hudsons could make the run to Squamish now, because CN hasn't maintained the load limits for the road bed and the steamers are too heavy to run on it safely anymore. I did wait around after Chris left and went to see the old bus that the BC Transit museum had out. They were playing videos of the BC Electric and the sign said that they had DVDs for sale, but I when I went to get money to buy one and came back, the bus was gone. The museum car itself really wasn't all that much worth the wait, though. I wish that they'd have had the whole train opened up as an exhibit instead. Awesome photos Mill Bay. I was going to try and be there but for soe reason my mind was on a different day. Oh well at least someone was there to catch it. 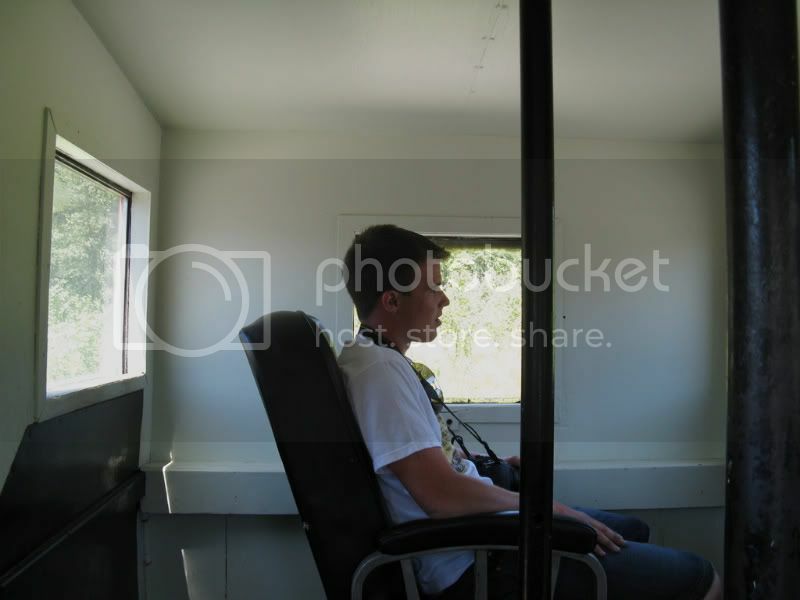 Where did you get the pictures of riding the 2816 through the yard? I'm assuming you must have gotten on board somehow. 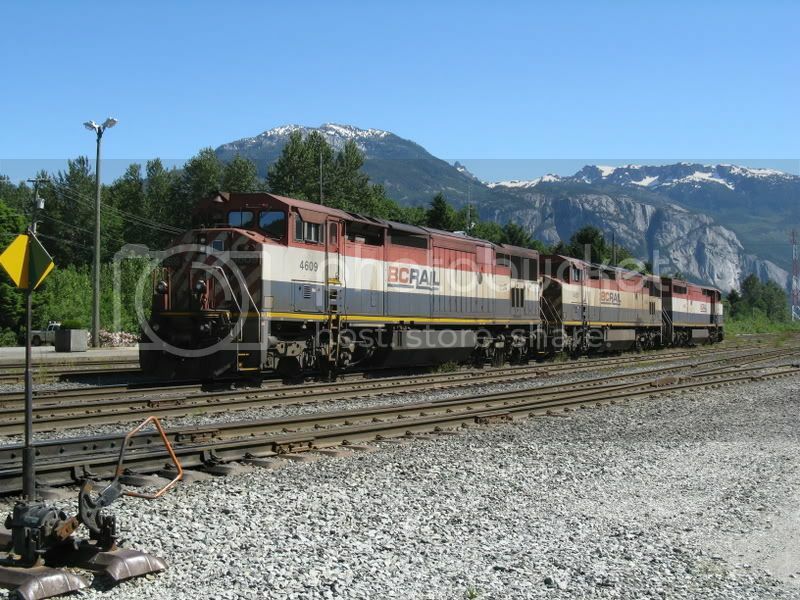 I was working the five o'clock yard that morning, they had us pilot the 2816 through the BC Rail yard in North Van and out to Ambleside because the CP crew onboard is not qualified to operate on CN or BCRail territory. 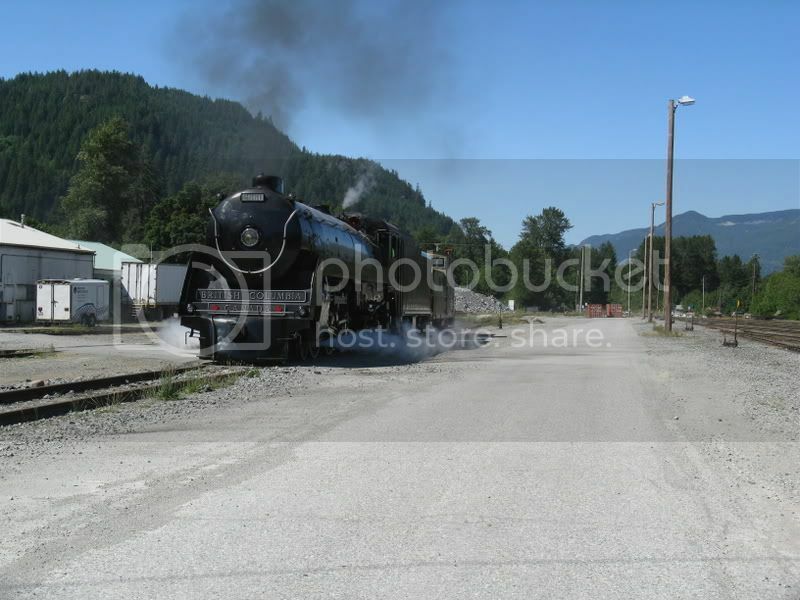 my pics from the 2816 when it was in Nelson. includes a shot of streetcar 23 and a few of the old cars that the car club had out. 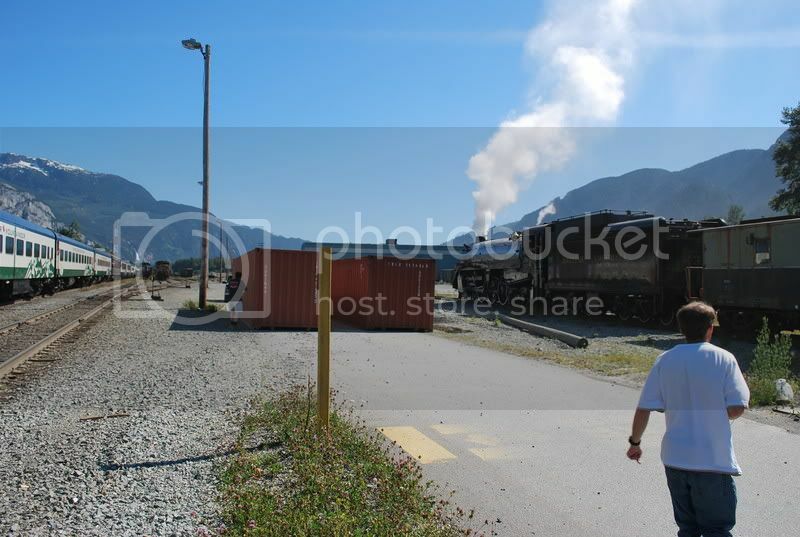 Here's a gem that I found on YouTube, of CPR's #2816 running through Morant's Curve (seen from Highway 1A, near Lake Louise). This location is now my 1st and favourite train-spotting locations (not a bad place to start, huh?). I enjoyed spending time at this location on 2 different days during my recent Rocky Mountain road-trip vacation. I'll post some still pics from this spot, in a few days. I was just up there this week but no trains. There was some maintenance equipment and I think the line was closed. I got some pictures last time I was there but they are on film and I can't figure out how to put them on the computer. 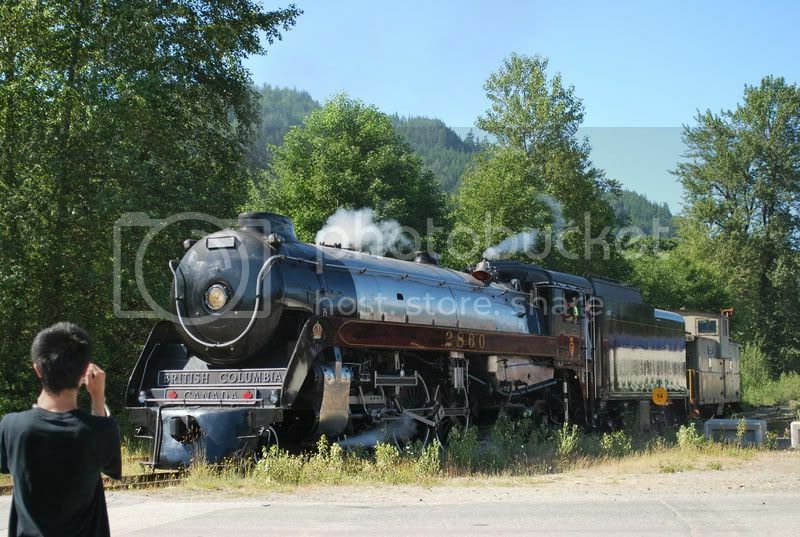 Here's some pics of the heritage steam train in Kamloops from when I was up there 2 weeks ago. Originally I was in the area to watch an evening show at the little park near the river that's called, "Music in the Park". But then I saw this little loco steam over the bridge blasting its whistle, so I ditched the show and tried to follow it on foot. Here's what I saw when I finally caught up to it. Those are some awesome photos, though. Great sunset lighting. I've seen that "special train" a few times now. 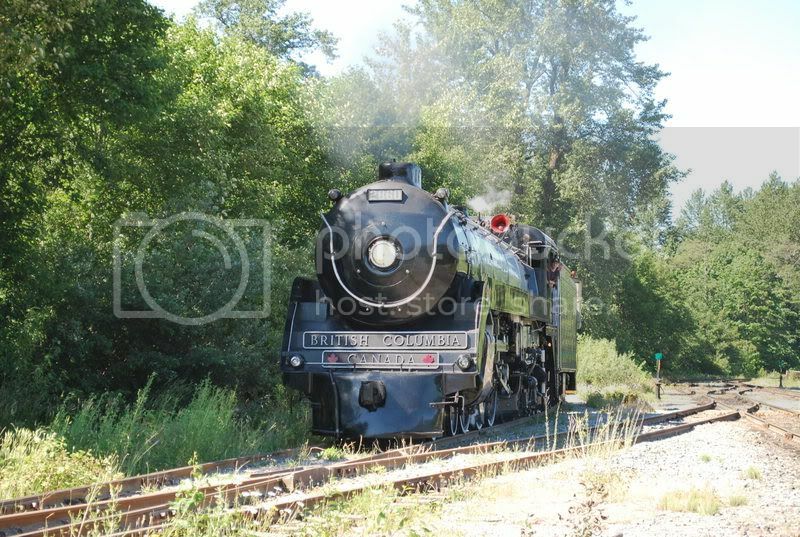 Besides it having some vintage coaches, where do they take that train and what for? It goes up to Whistler, carrying VIPs. That's about all I'm allowed to say. When you thought that there would never be a new steam locomotive built anywhere on this planet, those wonderful British would have you second-guessing! 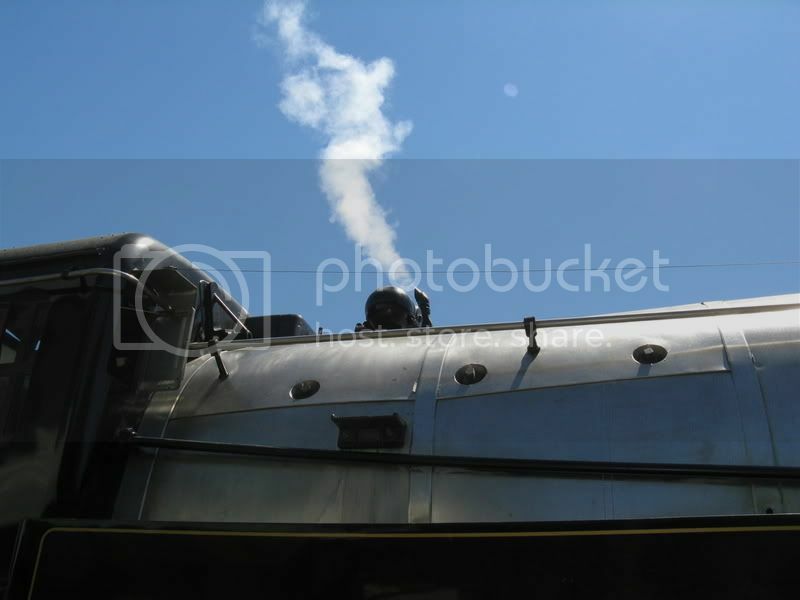 An organisation of steam lovers, called the "A1 Steam Trust", have just about completed a new steamer all from scratch and from original layouts. 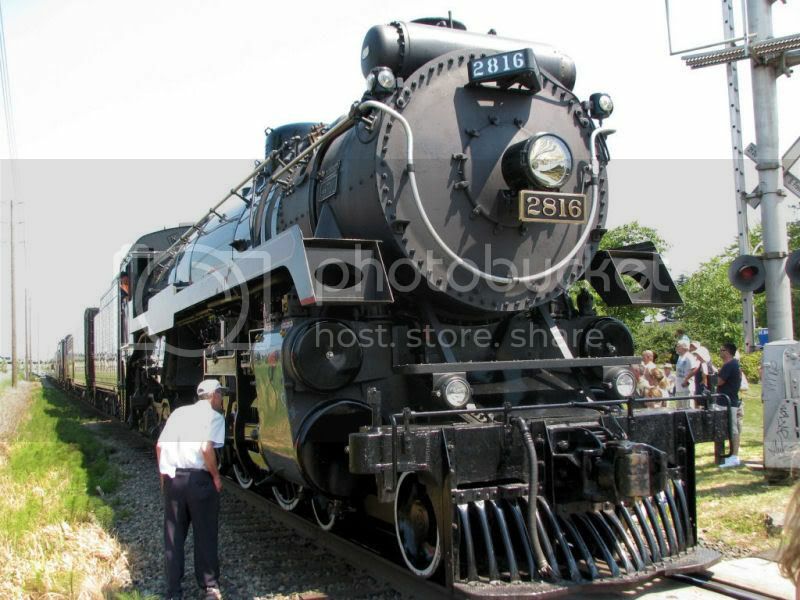 She is named TORNADO and is number 60163. She is nearly an exact duplicate of the original Class A1 locomotives that ran from London's Kings Cross Station up the east coast to Edinburgh of Scotland. I am one of a lucky few who have replicas of the new steamer. 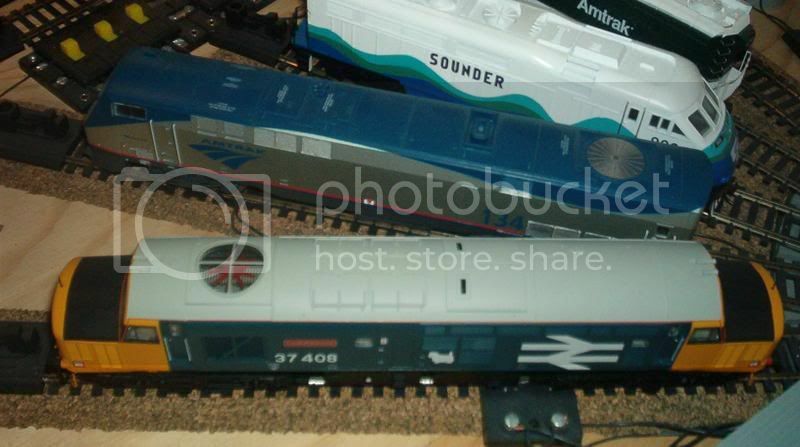 She is on my interim layout with some of my other collections. My replica has the British Railways green colour scheme with the late crest. My replica is pulling a Mark 1 rake of coaches. This one is a BCK (Brake Corridor Composite). If you notice very closely, you'll see a pair of periscopes on the roof above the Guard's office. The Guard (Britain's equivalent of our Conductor here in the States), would see over the roof upcoming signals (if not fogged by the steam). A brake handle is in the office and is applied/released when needed by a whistle signal from the fellas on the footplate. First and Second Class passenger seating are aft of the Guard's office. Baggage is at the forward end. This is an RMB (Restaurant Miniature Buffet). You'll find this on some excursion trains in UK. Most notably on the Jacobite Steam Train that runs between Fort William and Mallaig (this electronic token route crosses the Glenfinnan Viaduct, famous for her use in Harry Potter movies). This is in classic British Railways crimson and cream colours. Another view of the TORNADO. 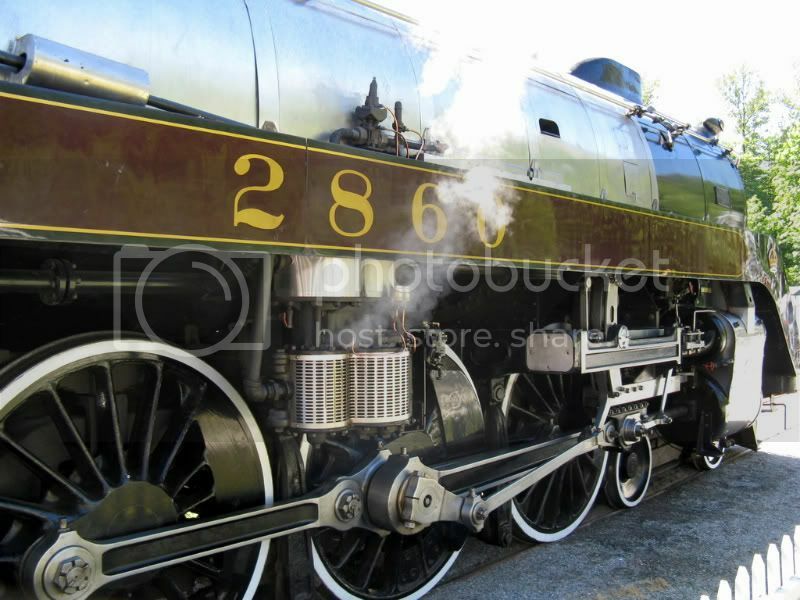 I just had to include Britain's most popular diesel class engine. This is a Class 37 "Growler". This one was assigned to Scottish routes and the "Scotty dog" shows evidence. 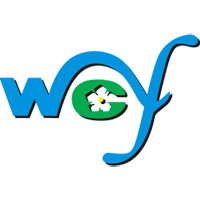 The sound of the real engine is very similar to the now retired MV OLYMPIC of WSF (the exhaust from the diesel generator). The British also refer these as tractors due to their sound. 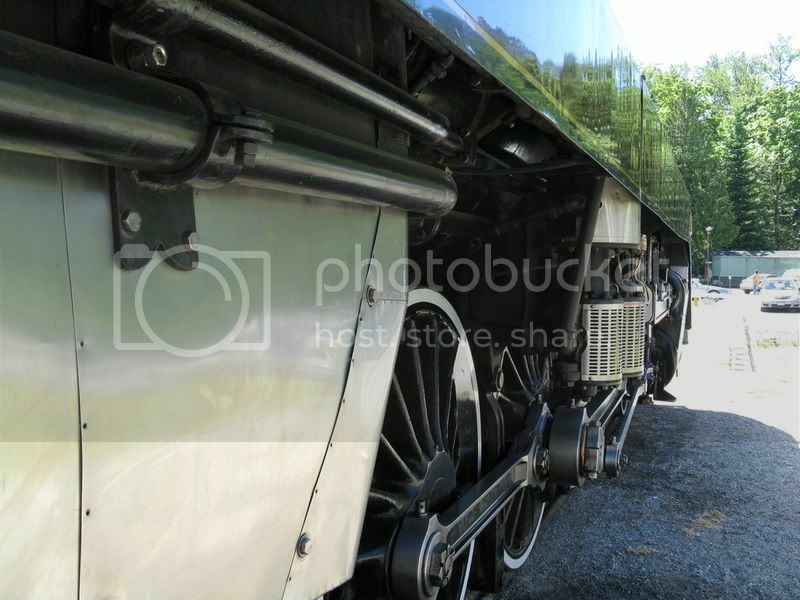 These are exciting times for us steam locomotive buffs. 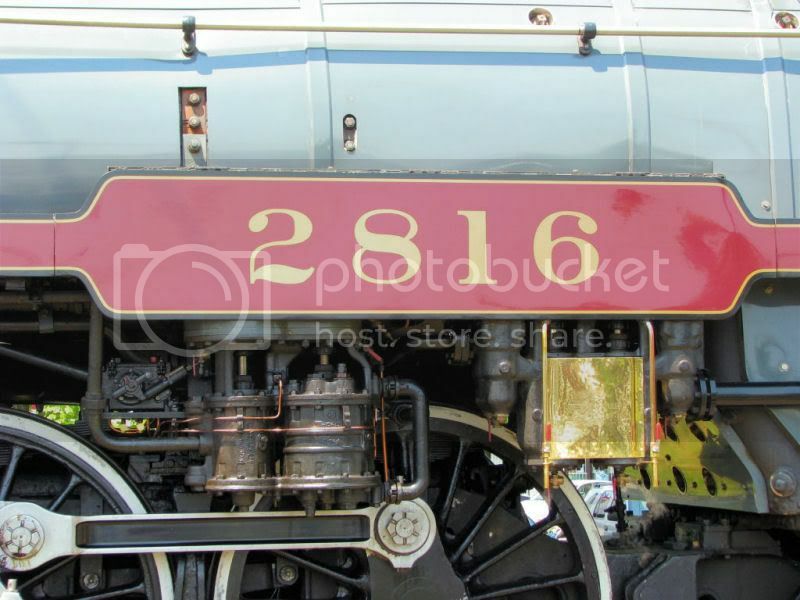 Best wishes to 60163 TORNADO! Added note: Her boiler came from Mr. Markus Brinkmann's country. The caption on the video says it took 18 years to build Tornado. I wonder how much it cost too. 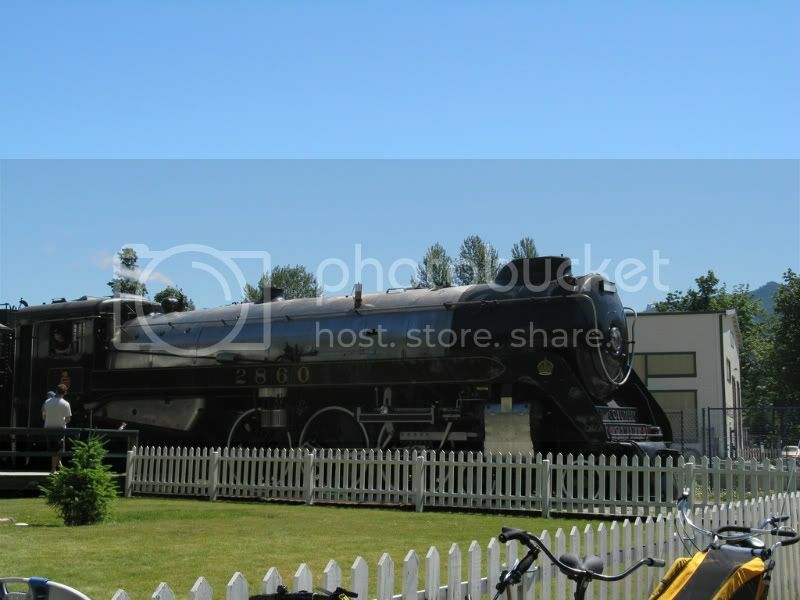 SteamFest is getting close, and the first pieces of steam equipment have already started arriving at the West Coast Railway Heritage Park. 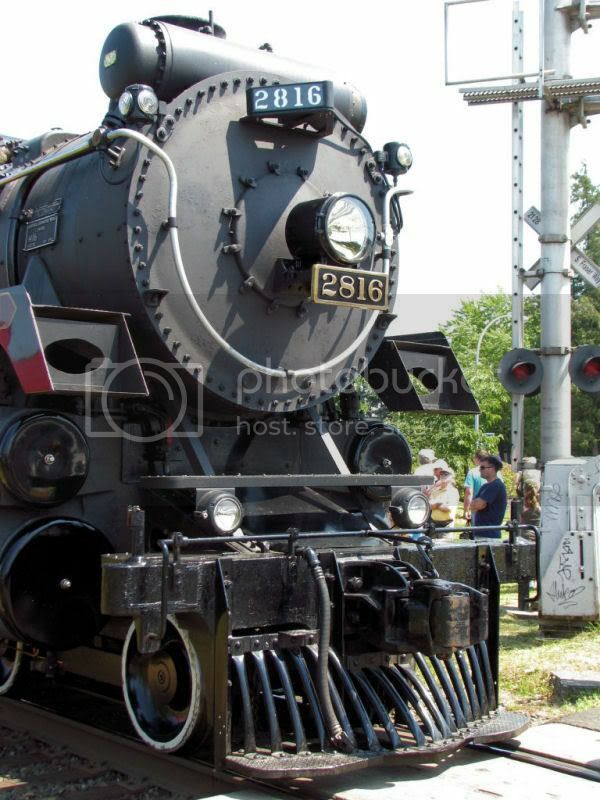 It is going to be a gala event, unlike anything seen in many years, as many different steam vehicles and appliances gather and operate at one site. 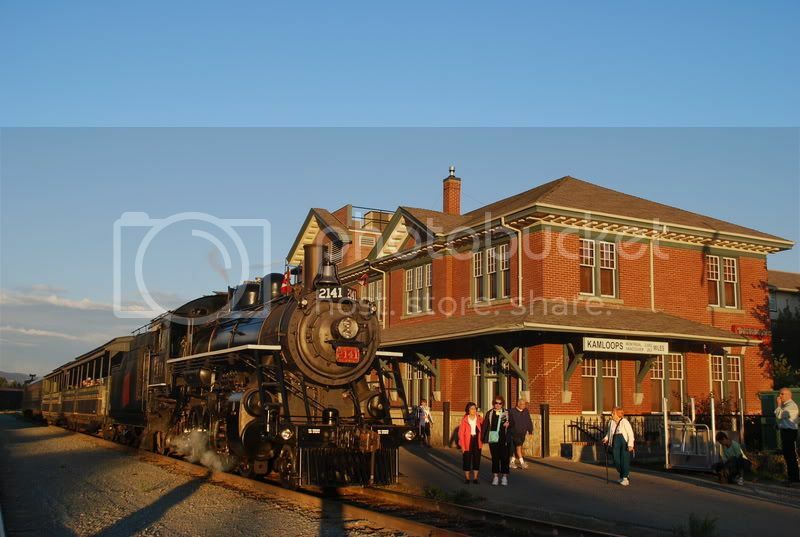 In addition, enjoy the Heritage Park’s exhibits, great food, and many other attractions all in one place. I will be attending, along with several members from this forum. If anyone else decide to come, let us know so we can arrange to meet up. EDIT/NOTE: I live within a block away from the park. I just happened to hear a random blast of one of the Royal Hudsons whistles. I guess they decided to fire her up early just to make sure everything still works good in time for the weekend. 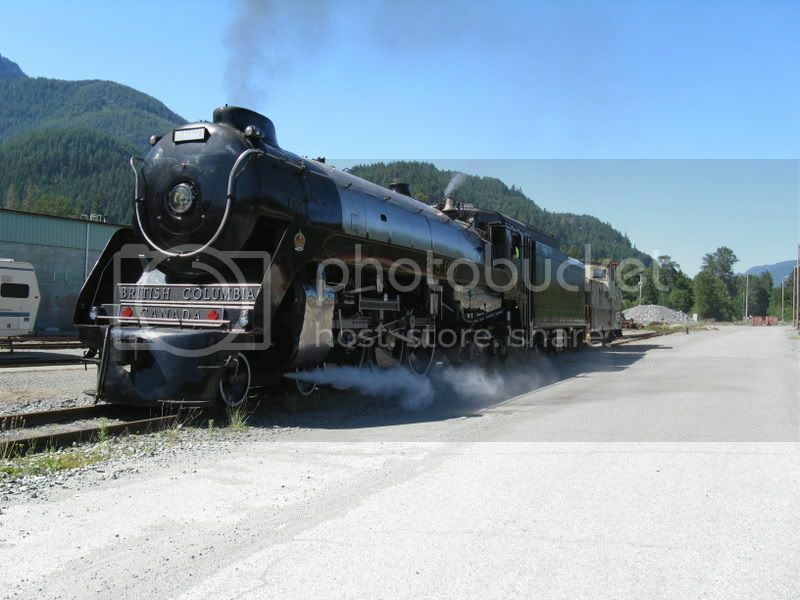 Just recieved an email, mentioning that the Royal Hudson is finally making an excursion out of Squamish. 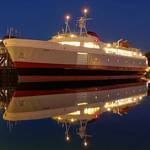 It will be doing a few trips just strictly around the Lower Mainland area. I'm half considering going since I'll be on the mainland that weekend anyways. Champ Car - Gone, but not forgotten! D'oh... I'll be in northen Alberta then !!!! I would love to take that ride, right through my old neighbourhood (Scott Road) to my new one (Cloverdale). 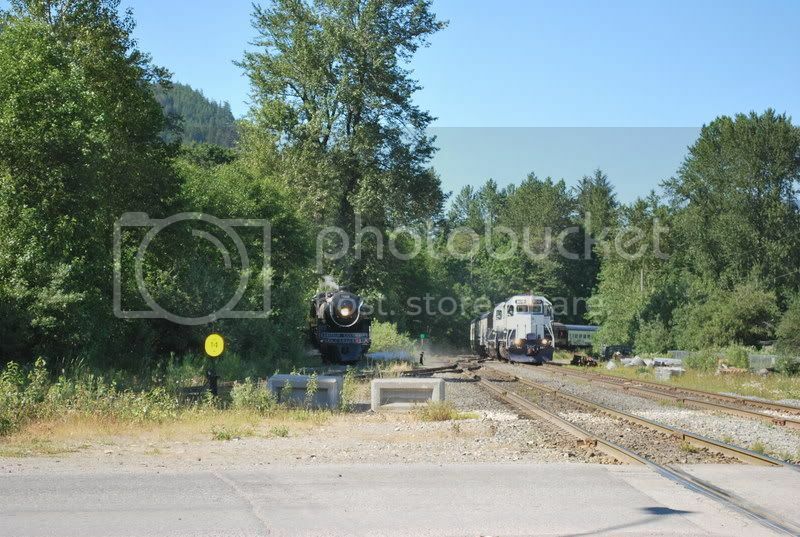 I don't think I could make it to New Westminster in time to catch it, but will the train be heading along the route following the Millenium Line? 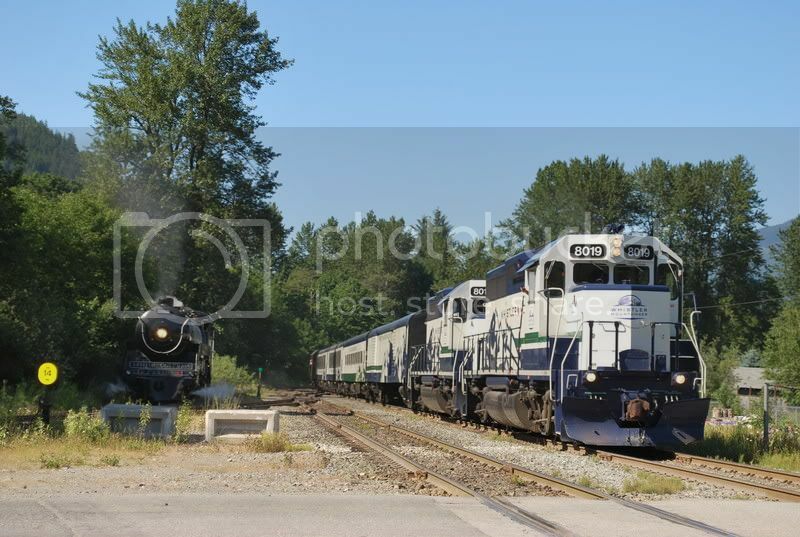 If so, I would love to catch a steamer on camera going through Braid or Sapperton Crossings. 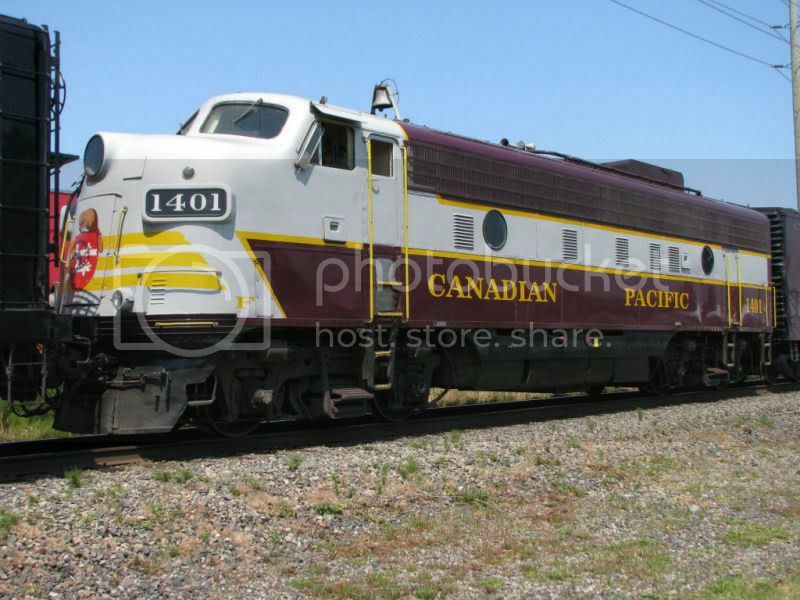 For those of you who don't want to wait for a Royal Hudson sighting, you could have bid on and won your very own top of the top, model train at Barrett Jackson Palm Beach. 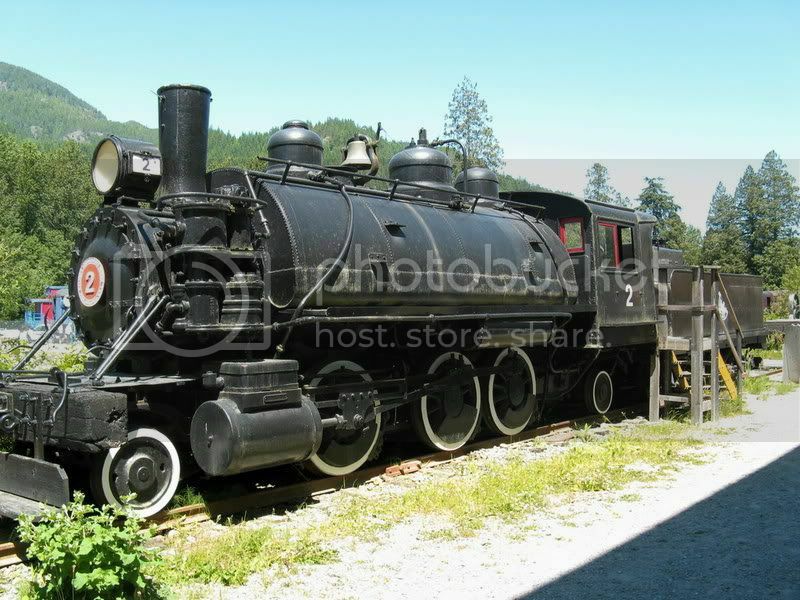 A Union Pacific 484 Baldwin Engine with cars, fully operating steam engine, hand built by a decendant of Daniel Boone. You could have this for your backyard (estate more likely). Not as large as the one in Stanley Park but at 3/4" to the foot pretty good. The kicker...wait for it... it sold for $72,000. I suppose if you could afford that, rescuing the Sidney and turning her into a floating restaurant would probably be not far behind.